Buzz. It’s what every company craves for their product or products. Good buzz is best but sometimes bad buzz is OK as well because let’s face it, no buzz means apathy which is death for a company. In the golf world, buzz used to be primarily generated by a new or modified technology but now it can be generated by a new or different color. Enter the AMP line from Cobra Golf. After releasing a white driver of their own last year, Cobra decided to up the ante and go with a not so subtle color for its line of 2012 clubs that’s now synonymous with a certain orange-clad golfer. 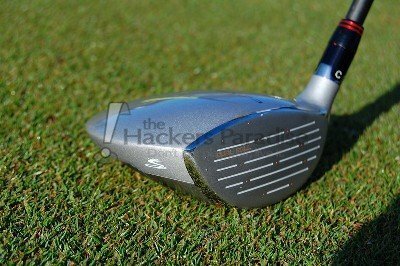 Cobra sent the AMP fairway wood to THP for some testing and yours truly had the pleasure of putting it through its paces. So was this orange hype or orange crush? Check it out. Love it or hate it, orange is the hot new color in golf for 2012 and like white was last year, it’s a polarizing color. The AMP fairway wood certainly has it but it’s not everywhere on the club. Aside from the grip, orange is mainly used to accent the look of the club and I actually like it. The orange grip stands out yet somehow blends well with the dark gray Aldila RIP Speed Tuned shaft. The shaft transitions into the adjustable hosel seamlessly and turns into the light gray crown without so much as an afterthought. Turn the club over and this is where new and old come together. The light gray of the crown is on the sole too but meets a traditional chrome finish accented by, you guessed it, orange lines with some black paneling. It’s a modern look with classic twists which, while polarizing, certainly looks different without being garish. The technology of the AMP fairway borrows from previous Cobra lines (E9 face technology) and also incorporates a new approach to bulge and roll design. The Advanced Material Placement (AMP) concept allowed Cobra’s designers to thin the walls of the club and move that weight to the back of the club. Why is this important? The mass now in the back of the club allows the ball to get up in the air quicker while the thinner walls of the club allow for a faster ball speed. When this is paired with the E9 face technology which gives you hotter ball speed with more forgiveness across more of the clubface you’re looking at a hot little number. 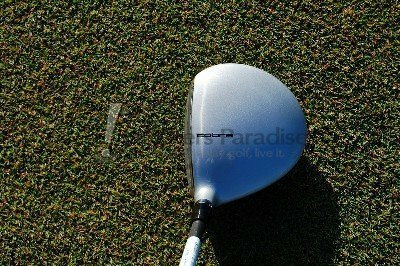 You can actually see the E9 technology on the clubface and if you were to connect the dots so to speak and color in that area you’d see that it takes up almost all of the clubface. Throw in the final tuning of the club found in the Adjustable Flight Technology (AFT) and now that hot ball has a direction to go in! The AMP fairway wood that Cobra sent for testing was a 15* 3W with a 55g S flex shaft and a Lamkin R.E.L 3Gen grip. When I first started swinging the AMP fairway wood I noticed right away that it was a really light club that lets you feel just enough of the clubhead throughout your swing. My first concern was that the club would race ahead of me causing a bad hook and yet I did not have that issue at all. The 55g shaft is specifically tuned for swing speeds in the range of 95-110mph and my swing speed tops out at 105 so this shaft was definitely in my ‘range.’ Although that is the case, I felt like I wasn’t getting enough flex or snap from the shaft. Ball striking with the AMP fairway wood gives you an interesting mix of ‘heavy hotness.’ Don’t worry I’ll explain that! You definitely feel a little hotness from the E9 Face Technology at work across the clubface yet the ball doesn’t seem to jump of the clubface like I thought it would and at times felt a little heavy, almost like the ball was sitting on the clubface a split second to long. This isn’t the longest fairway wood I’ve tested but it was one of the easier ones to swing which was a nice comfort level to have. The ball flight I was experiencing was on the higher side and while not the longest in terms of distance it was pretty accurate with a decent shot dispersion. Basically this club was very predictable in terms of distance, direction, and landing area which if you can find in a club right away is a very good thing. That being said, I was really impressed with the forgiveness of the AMP fairway wood. Even on extreme toe hits, which are my worst and most consistent miss, I didn’t notice extraordinary distance loss or twisting of the club. Off the tee this is a nice alternative for those days where your driver isn’t performing well and given the forgiveness and ease of swinging this club I can see this being a worthwhile option off the tee. I also didn’t have any issues with hitting this off the deck either. While the face is a little on the taller side I had no issues with turf interaction and the club remained very stable through impact. Adjusting the face angle of the AMP fairway is easy as bursting an orange. A couple turns of the screw and you can adjust away! I think having 3 options of adjustability is fine however adjusting 2* either way may be too extreme for those who may only need a degree to rip shots with this club. With the weight of the club I felt that the neutral setting worked best for my swing but it’s nice to know that the adjustability option is there if needed. The only thing I can say that I didn’t like about the club was the grip. I felt that the grip was on the slick side and didn’t have a good tacky feeling to it for my taste. I could see this being an issue for those golfers in warm and/or humid climates so it may be something worth noting when you go to hit this club. Cobra Golf hasn’t always been first to the party but when they arrive they arrive with a splash. The technology that they’ve put into this club works in the package it comes in and works well. Orange or not, this club needs to be hit by someone looking for a fairway wood in 2012. 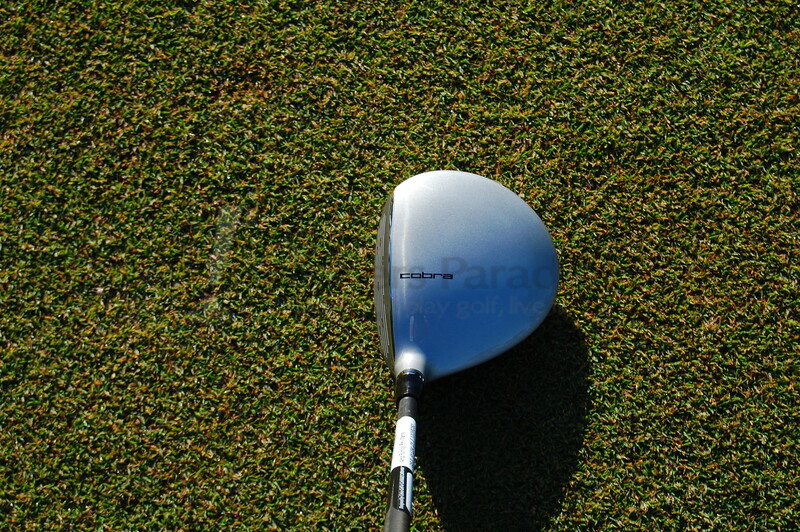 The Cobra AMP fairway wood retails for $199 . 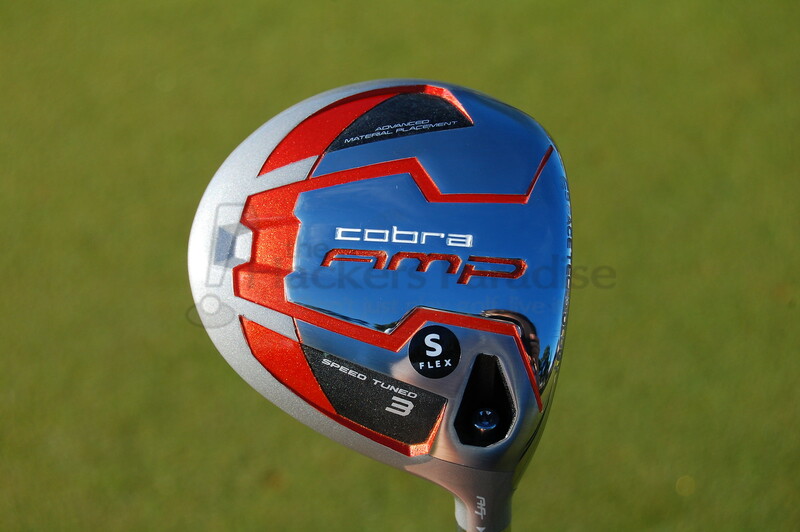 Click on over to www.cobragolf.com for more information on this club and the technology found in the AMP line. 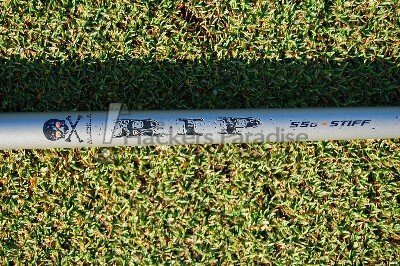 You can also find this club at online retailers like THP approved Blind9Golf. It’s solid, works, and gets the job done. Isn’t that what we want in a golf club? Great stuff Todd!! This review is perfect considering the amp fairways aren’t released yet!! Thanks again for taking the time for another great review!! I love the idea of having tons of forgiveness on the toe misses. Thats my miss too and it has me intrigued. I like the big gamble they took with the loud color scheme, it makes it easy to distinguish among a crowded FW space. While I’m not rushing out to buy one, it will certainly be on the list to hit during the demo day in May. Great review Todd! This club really intrigues me and I like the color, relatively shallow profile, and adjustability. This is a fairway that I’ll be watching out for! It sounds like the Cobra AMP line has accuracy in spades. Nice write up Hanks! Nice review T. Hanks. Ive never viewed Cobra golf as much of a needle mover so I guess orange and a young gun in the stable are attempts at changing that. Hopefully decent equipment like this FW can change that too. Another solid review Todd! Personally, I like the look at the club at address and even the sole does not have that “too much orange” look for me. I was also glad to hear about the ball flight and that you can get it up there higher without issue as my struggle lately has been too low of a launch. Looking forward to giving the AMP line some attention in May! Nice review, Todd. Really sounds like, despite what one thinks of the color scheme, it’s a very solid FW. Great review Hanks! Will definitely try this one out! The photo from address looks like the club sits very closed, but that may have been adjusted? Nice review Hanks!!!!! It doesnt seem like this FW does anything extremely well just a lot of thing consistently which is good. Nice review Hanks, enjoyed reading that! Sounds like a solid offering from Cobra again. I’m a fan of the E9 face technology ever since I had the ZL Unlimited driver years back. Looking forward to the feedback on this one from demo day too! Great review Todd! Consistiancy in a club is always a good thing. Great writeup Hanks, another solid review. Other than the grip, the club looks great and sounds like a performer. Nice review Hanks! I like the driver more than the FW, but it sounds like it’s worth another shot. Thanks Todd, I enjoyed reading your review. Great write up Todd! 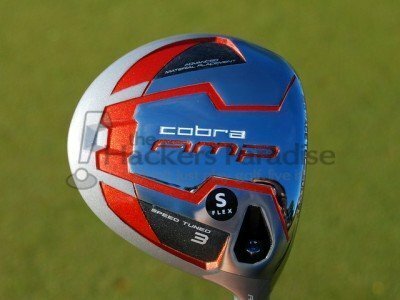 Like the driver, this really seems like a solid offering from Cobra. Another great write up Hanks! You have to love consistency. Great write up Hanks!!! Sounds like this is a FW that should not be overlooked. Great review Hanks. I somewhat expected this to be priced a little lower but I guess Cobra is saying “hey we’ve got some legit gear here, check it out”. 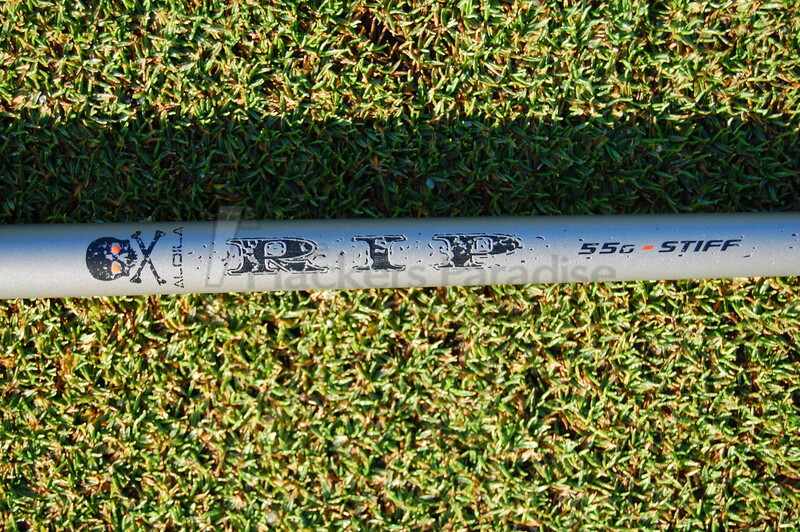 I do like the RIP shaft in other clubs so it’s cool to see it in this FW as well. I can’t wait to hit it. Awesome Hanks, love that orange grip as standard. Great review Todd! One of your very best ever. I like what you have to say about this one. Looking forward to giving this one a go on the course in the coming months. Again, great write up and review! These reviews need better testing criteria and not just one persons opinion. I enjoyed your review. You mentioned that this wasnt the longest fairway wood you hit. Which one is?